One of our favorite parts of the holiday season is that it’s the time of year design gurus start predicting what’s going to be all the rage next season. If you’re planning on building, remodeling, or maybe just want to do a little sprucing up, here are some ideas to keep in mind. Bathrooms in 2019 are all about the experience, the notion of the bathroom as a purely utilitarian space is over. People’s homes are their sanctuaries and the bathroom is where you go to relax and unwind alone after your day. Drawing inspiration from the pinnacle of relaxation only makes sense. Not for the faint of heart, open concept bathrooms have been growing in popularity in recent years and seemed poised to take off in 2019. Many open concept bathrooms draw very strongly on spa inspired design, though this isn’t always the case. One fresh design idea for 2019 is to place your vanity in front of a window. Especially if you have a wonderful view, you naturally want to take advantage, and everyone knows natural light is the optimal choice if you have it. There are so many ways to place or suspend a mirror, we don’t think this trend will be going anywhere anytime soon. Technology has taken over practically every aspect of our lives, and it should come as no surprise that our bathrooms haven’t been left out of the revolution. From smart showers where you can control water pressure and temperature on demand, to mirrors that are integrative media systems, the future is now and it is in our bathrooms. Whether with a bright print or piece of art, designers and homeowners are making walls, and not additional accessories, the focal point of the bathroom in 2019. Art Deco is a style of design and architecture that emerged from France after WWI. Popular throughout the 1920s and 30s, Art Deco is defined by bold geometric patterns, beautiful craftsmanship, and ornately lavish details. While art deco isn’t for everyone, if you’re looking to inject a little high style or drama into your space, this may be exactly the aesthetic you’re looking for. We see a lot of kitchens here at Prestige, so it’s kind of hard to surprise us with a truly unique design. But it still happens, and we always try to learn something from it. Though we could never choose a favorite, here are a few of the unique kitchens we really love. Interior designers Branimira Ivanova and Desislava Ivanova call this innovative design “Cubism in the Kitchen”. Their goal was to create a kitchen that was both functional and artistic. The result is a beautiful space with a uniquely modern twist. Few design themes create the cozy warmth associated with the country kitchen. The very idea evokes the memories of baking cookies with grandma or enjoying large Sunday dinners with the entire family. It’s a classic aesthetic that will never go out of style, especially here in the South. One of the fun aspects of country design is how many different ways it can be achieved. Whether you want to go all-out country, or just want to flirt with a few rustic touches, we’ve got some great tips on how you can achieve your dream modern country kitchen. Your kitchen is the room in your home where your senses most come alive. Adding visual and tactile sensory experiences to the smells and tastes that naturally occur in your kitchen really help make it the heart of your home. Texture adds depth and different levels of interest to any space. An easy way to add impact to your country kitchen is through the use and mixing of different textures. Elements like wood and stone are obvious choices when trying to create a rustic feel, but there really are so many different options. You can go as simple or as big as you want with texture, it’s really all about the juxtaposition. The abundance of textural features really makes a huge impact in this updated take on the classic country kitchen. A painted pine ceiling, exposed brick fireplace with wooden mantle, polished marble, white subway tiles, copper accents, and timeworn, rough soda shop stools all play with texture in a bold way. Additionally, the use of matte black paint really allows the textural elements to pop. While you can never go wrong with white in the kitchen, color is a fun way to lend a country feeling to your space. If you are going to use whites for your rustic kitchen, you definitely want to go with the creamy, warmer tones that will help create the feeling of coziness reminiscent of the style. Softer, muted versions of almost any color are appropriate when creating a country feel for your home. The boldness of the colors you use will help determine how modern your space feels, with lighter, warm tones creating a more rustic feeling and bright, intense colors lending a more modern air to the room. Little evokes the image of the classic country kitchen like the farmhouse sink. It harkens back to a time when there was no indoor plumbing. When water had to be physically hauled in to the home and sinks had to be drained manually. Today they are popular because their combination of form and function makes them the ultimate utilitarian kitchen focal point. Dutch Doors are divided horizontally, so that the bottom half can be left closed while the top half is open. This design originated from a need to keep farm animals out of the home while keeping small children in. Additionally, it allows for extra light and air flow throughout the space. Dutch doors are also extremely versatile, their multi-door design allows for a plethora of window, screen, and decorative options. Nothing says classic southern country decor like an arrangement of cotton boll stems. It’s a small detail that can’t help but feel both stark and lush at the same time, not an easy look to achieve. Bringing the outdoors in is a huge part of designing the country kitchen, and this is such a whimsical way to do it. A tall cylinder glass vase modernizes the look. A bouquet like this is a standout on its own and also a perfect complement to any rustic collection. Using repurposed antique farm implements as wall storage is both functional and decorative. We hope you have enjoyed these ideas for creating your perfect modern country kitchen. For more kitchen design inspiration, check us out on Pinterest. You can always count on Prestige Marble & Granite when it comes to selecting natural stone countertops that will integrate with the latest in design and color trends. Stop by our showroom and speak with our knowledgeable staff anytime. Designers, builders, and homeowners are all welcome! Last week’s post on architectural styles focused on the impressive Greek Revival, well known here in Middle Tennessee for its prominence in antebellum history. This week, we’re taking look at a style that may be smaller in scale, but definitely high on charm, the American Bungalow. The bungalow gained popularity at the turn of the century (20th) because it offered affordable pricing for simple, yet soundly constructed homes for many Americans getting by on modest means. 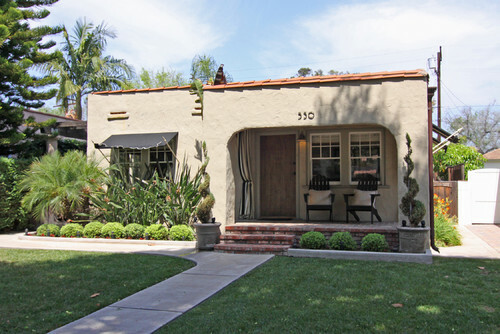 These early bungalows, were not without a sense of style, however. There are actually many variations on the bungalow, each with distinctive artistic touches. From Arts & Crafts to Art Moderne, just about every style you can imagine has found expression in the simple and practical American Bungalow. 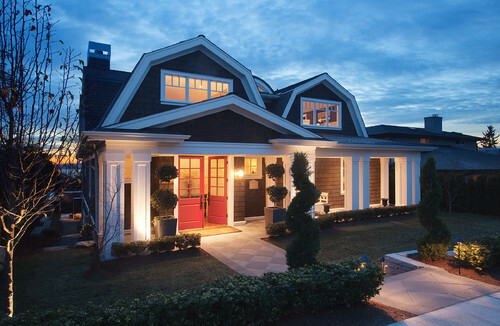 Still popular, vintage bungalows are a favorite renovation project for many, and fresh takes on the old styles are being built brand new every day. Here’s a look at a few of the popular American Bungalow styles you will find all over the country. Derived from the English Arts and Crafts style, which lavished attention on handcrafted details using wood, stone, and other materials drawn from nature, the Craftsmen bungalows were simple wooden houses with Arts & Crafts flourishes. 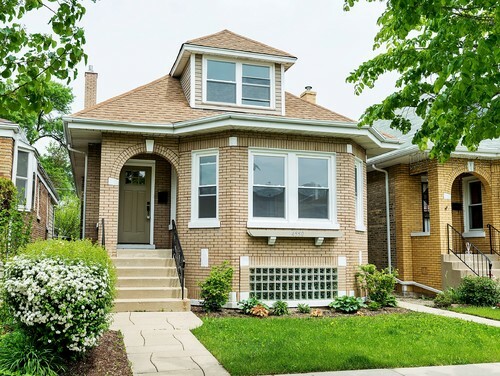 Chicago Bungalows are characterized by solid brick construction and a large, front-facing roof dormer. Bungalows built in and near Chicago have many of the lovely Craftsman details that you find in other parts of the country. Whatever your style, Prestige Marble and Granite has the countertop you need to help make your house a home. We offer a large selection of exotic and rare natural stones that are sure to provide your design project with a one-of-a-kind look. Stop by our indoor showroom anytime; we’re here to help you every step of they way – from selection and layout through fabrication and installation. One of the most magnificent examples of residential Greek Revival architecture is Rattle and Snap, here in Maury County. In this second part of our series, we’re going to look at the history and elements that make up the architectural style known as Greek Revival. We see a lot of this style in Middle Tennessee, as most Antebellum homes were built in the Greek Revival, Classical Revival, or Federal style: grand, symmetrical, and boxy, with center entrances in the front and rear, balconies, and columns or pillars. While all three of these revival styles have some basic elements in common, each has distinct design elements that make them unique. Here’s a look at Greek Revival. Even though Greek Revival seems quintessentially southern, evoking visions of Gone with the Wind’s Tara, the style, in fact, began in 1825 with public buildings in Philadelphia. European trained architects designed in the Grecian style, and the fashion spread via carpenter’s guides and pattern books. At the time, America was looking to ancient Greece for inspiration, not just in its architecture, but in its philosophy, the arts and science, as well. The popularity of Grecian style was essentially an expression of America’s triumphant sense of destiny and the sense that our newly formed nation was the spiritual descendant of Greece, birthplace of democracy. Popular from 1825 to 1860, the Grecian architecture was prevalent right up to the Civil War. Low pitched gable and hip roofs were typical. The cornice line was embellished with a wide band of trim to emphasis the temple-like roof. Windows were mostly double hung with six panes to each sash. Decorative windows were frequently in three-part assemblages. Window surrounds tended to be less elaborate than doorways. The ancient Greek temple model, with its row of tall columns and pediments, includes two of the most obvious characteristics of this style of historic home design. Although the actual buildings in Greece were all made of stone, American homes of this style were not. Instead, they were crafted in wood and covered in plaster, then painted white to create the look of stone. The arched entrances and fanlights common in the Georgian and Federal styles were not part of the Greek revival movement, but elaborate door surrounds were frequent features of Greek Revival homes. Typically, sidelights with small panes and a rectangular transom (over the door) were framed by heavy, wide trim, sometimes recessed for a more three-dimensional look. The door itself might be single or double, divided into one, two, or four panels. 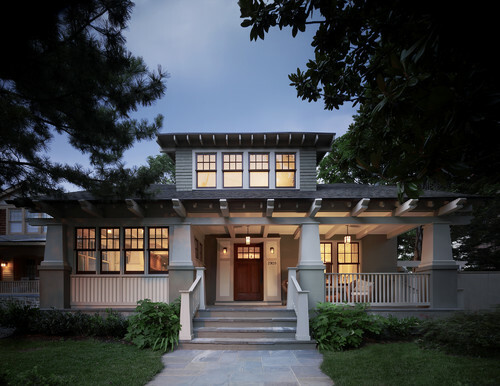 A portico or porch was almost invariably added in front of the entrance. The moldings were bold, yet simple. Heavy cornices, gables with pediments, and unadorned friezes were typical inside and out. Expensive homes would usually add more detail, like framed dormer windows on the second story, with pilasters and pediments. The less wealthy adopted similar features but with less flash.